Here you will learn how to import projects defined in a Lagom build into your preferred IDE. If using Maven, use the m2clipse plugin in Eclipse, or the built in IntelliJ Maven support in IntelliJ, to import your project. sbt-eclipse is needed to generate the Eclipse project files, which are required to import all projects defined in your Lagom build into Eclipse. 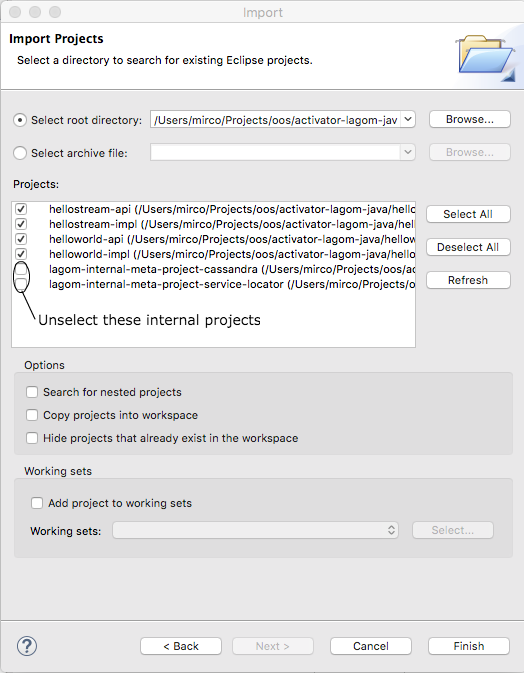 Now update all projects declarations in your Lagom build to use the newly created project method, so that the defined eclipseSettings are successfully applied to all projects. Finally, you will need to regenerate the Eclipse project files to account for the changes made in the build file. Go back to the activator console, type reload to reload the build file, and type eclipse. Once the eclipse task completes, go back to Eclipse, hit F5 to refresh all previously imported projects, and you are done. 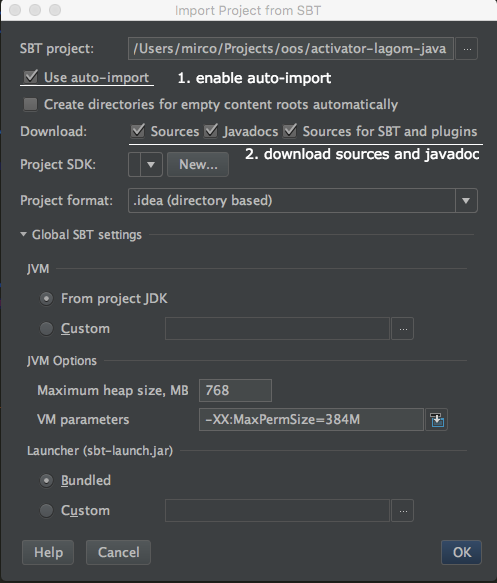 Because the Lagom build file is written in sbt, we recommend to install the IntelliJ IDEA sbt plugin to facilitate importing projects. Unfortunately, for sbt plugin to properly work, you will need to install the Scala plugin as well. To do so, open the Plugins modal for installing plugins, search for the “SBT” plugin. If no match is found, you’ll have to hit “Browse”. Select and install the plugin. Repeat the same process for the “Scala” plugin. Click “OK” and continue by importing all projects.